The GLIDE and DRIVE machines offer powerful cleaning power for all different sizes and shapes of vehicle, including coaches, buses, lorries, trucks and HGVs. Available in both battery and electric driven models, the GLIDE and DRIVE vehicle washes offer clean-energy cleaning for both small and large fleet sizes. The machines are simple and easy to use, as well as being cost and time effective. You simply pull the machine around the vehicle you wish to clean, and due to the direction the brush moves in, all you need to do is ‘guide’ the machine. It’s that simple! 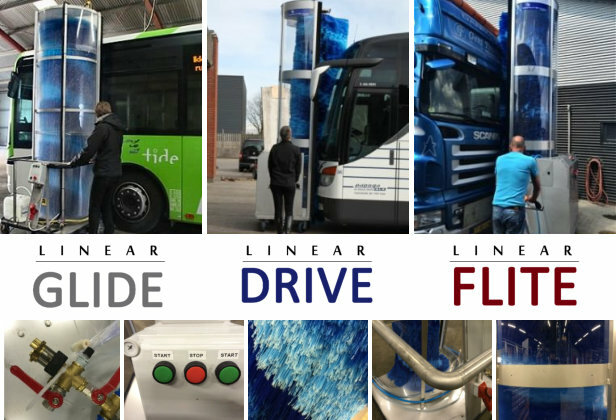 With many people now looking for alternatives to the large, costly, vehicle wash installations, the Morclean GLIDE and DRIVE offer a sensible, affordable and east-to-use alternative to solve your large vehicle wash problems. For specific information on each model, please click the links below. You can find all our latest news on our blog, just click here. 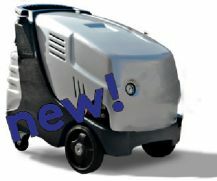 The Single Brush Morclean DRIVE is the ultimate mobile vehicle wash machine. 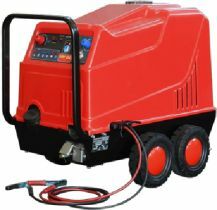 It uses battery power to conveniently and easily clean your vehicles, with built-in water tank to ensure an even water distribution. 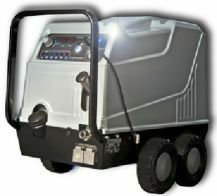 Like the Glide model, the single brush vehicle wash machine is an environmentally friendly alternative to the large industrial vehicle wash mechanisms. With an ergonomic control handle too, the machine ensures stable operation, making it perfect for fleet washes, truck washing, lorry washing and more. To operate, the operator pulls the machine along the vehicle so the machine can reach all parts of the vehicle. It’s quick, easy to use and makes light work of those tricky corners. 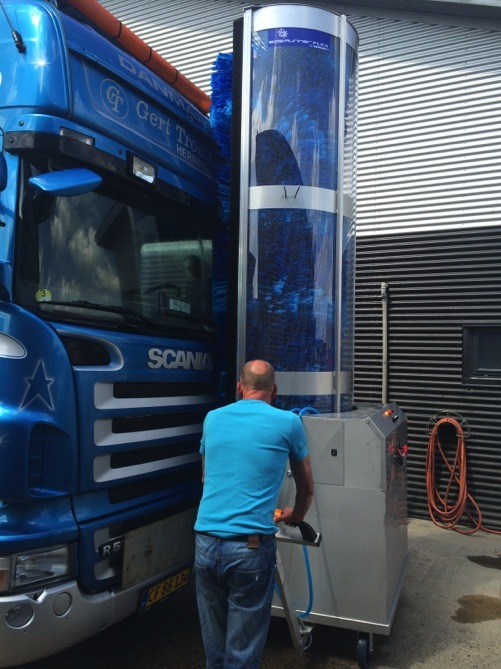 The mobile vehicle wash machines make excellent portable options for Bus Wash, Lorry Wash and many other large vehicle cleaning needs. Weight (including/excluding Operator) 870 kg/230 kg.